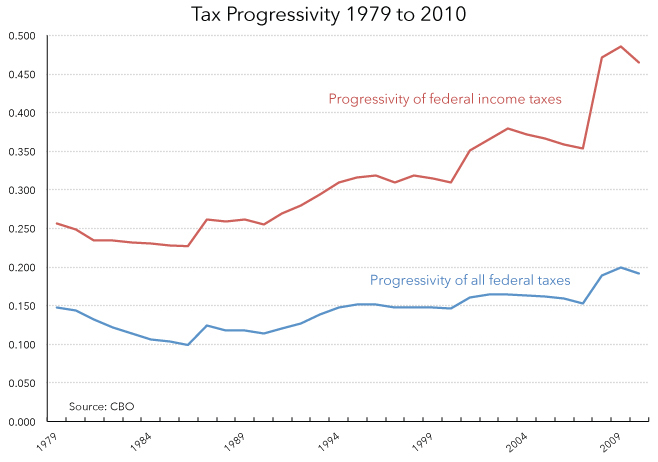 Though tax policies are still largely supportive of lower income groups, they have become less progressive over time. Wrong. The chart below, from CBO data, indicates that progressivity has roughly doubled since the 1980s, both in terms of the federal income tax and federal taxes as a whole. This is mainly due to the introduction and expansion of various tax preferences for low- and middle-income households, particularly the refundable earned income tax credit and child credit. As a result, the CBO finds that the bottom 40 percent of households have negative income tax rates. 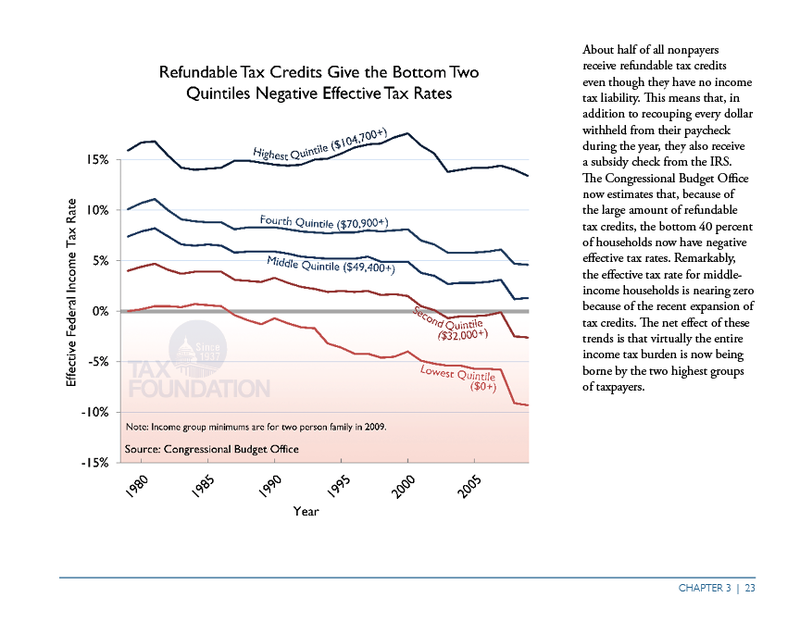 As the second chart illustrates, effective tax rates for the bottom 80 percent of households have been going down since the 1980s, while effective tax rates for the top 20 percent have stayed roughly the same. Lastly, comparing across countries indicates the U.S. has one of the most progressive tax systems in the developed world. For instance, our tax system is more progressive than that found in the U.K., Germany, Sweden, and all of the Scandinavian countries. For more on inequality, see our recent reports here, here and here.